We present the most comprehensive recovery and treatment tools in the area. All these services are hand-picked based on evidence and effectiveness. Most of these services do not require additional costs or appointments unless specified. 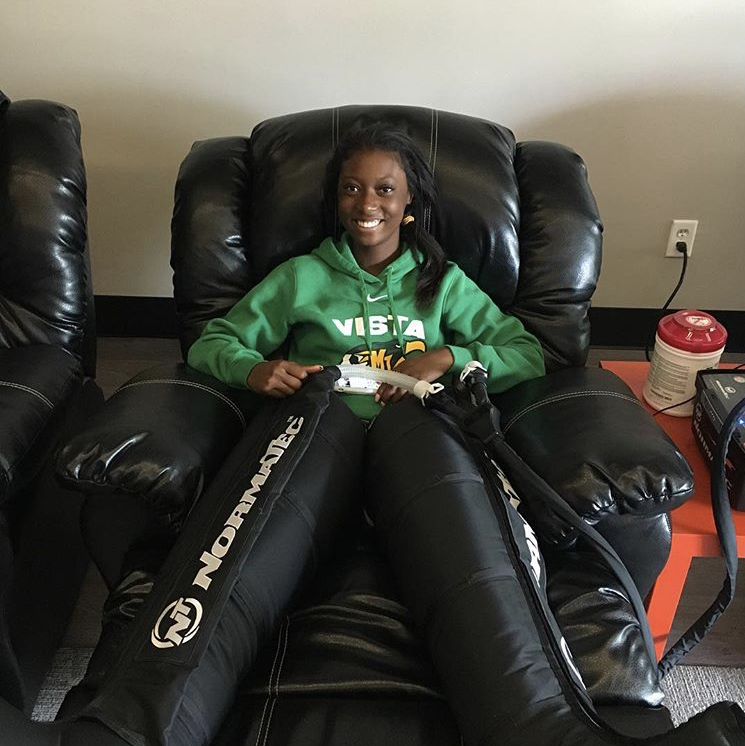 The NormaTec Pulse Recovery System helps you recover faster between workouts by reducing muscle soreness and improving circulation. Try it for yourself at RXSR and confirm the hype. This science-backed recovery tool has demonstrated accelerating recovery, upregulating muscle function, improve range-of-motion, and increase blood-flow. At RXSR we deliver the entire experience with providing the legs, hips, and/or arms. We can help with any region of your body in need of recovery. The Compex USA units otherwise known as neuromuscular electric stimulation, muscle stim, or e-stim, is delivered through a small device that sends electric pulses to your nerve fibers in order to create involuntary, non-fatiguing muscle contractions. Regular usage at RXSR can speed up recovery by flushing waste products, generate endorphin production, and increase blood-flow. Rehabbing or recovering an injury? Stimulate muscle fibers such as Type I (endurance) or Type II (power & explosiveness) to introduce muscle responsiveness and strength. Gone are the days athletes plunge in an ice tub for recovery. Contrast therapy creates vasodilation (opening) and vasoconstriction (closing) of vessels in the body. Combine the tubs as a sequence and create circulation to increase blood flow for powerful recovery. 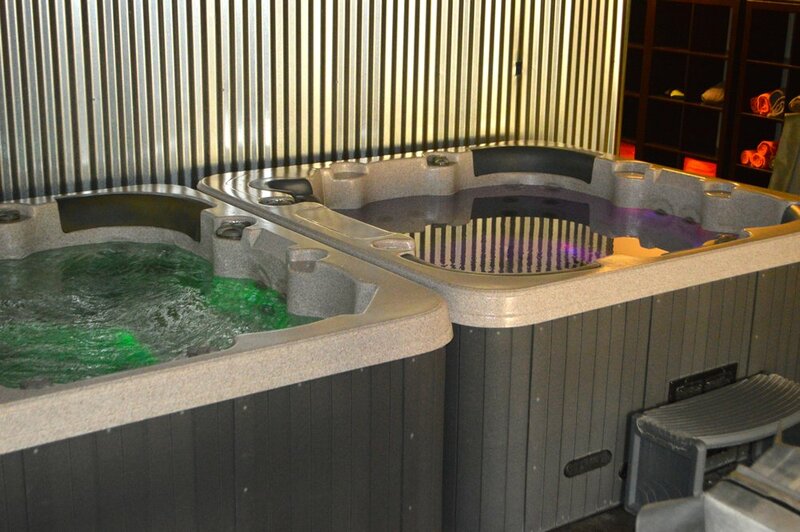 Our contrast whirlpools temperatures are closely monitored for maximum benefits that have been scientifically proven for effectiveness [Read Here]. Upgrade your water submersion recovery at RXSR. Finish your recovery session at RXSR with the infrared sauna. 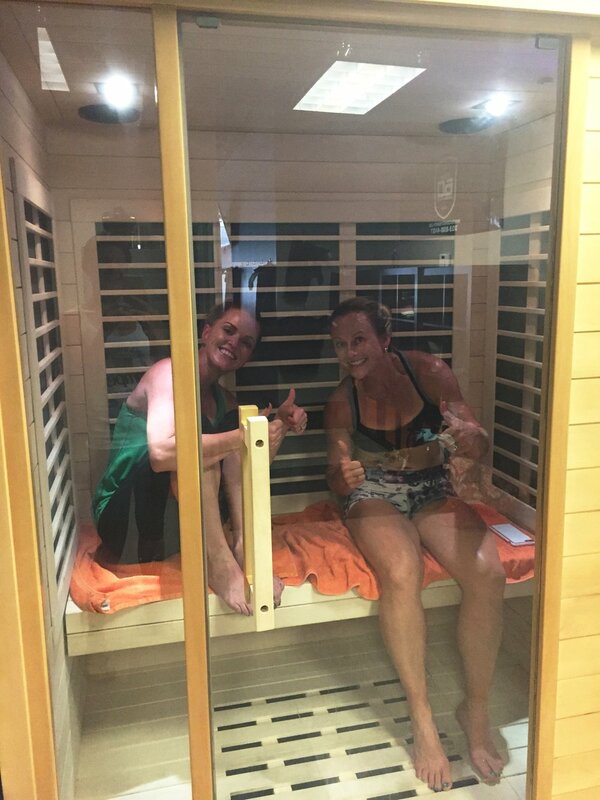 This sauna is one of our most valuable players as it stimulates cell metabolism via infrared light. Evidence indicates cells absorb photons from light and transform to adenosine triphosphate (ATP), the form of energy that cells utilize. While you sit, your cells are repairing and regenerating. The benefits do not stop at pain control and tissue repair. Other uses include weight loss, detox, relaxation, and improved circulation. 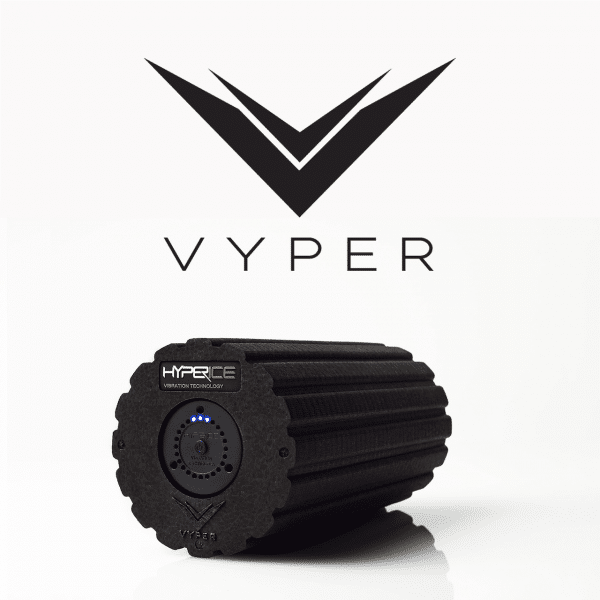 You will have a hard time going back to your basic foam roller after using our Hyperice vibrating foam rollers and Hypervolt hand-held massager. Enhance and expedite your recovery from tight or sore muscles with these myofascial tools to increase range of motion and blood flow. The Theragun is not a massager. It is locked and loaded to deliver the best neuro-muscluar treatment there is. It has the perfect amplitude, frequency and torque to deliver percussion vibration therapy for recovery and muscle activation. It is roaming around the facility and you can grab it anytime to use or our staff can help reach those hard-to-reach areas such as hamstrings. Cupping is a therapeutic suction technique used across many practices to help with pain, inflammation, blood flow, and relaxation and well-being. For our athletes, this modality is helpful for tendonitis, tight muscles, tight fascia, and increasing blood flow to an area. We manipulate the cups in a variety of ways such as keeping the cup still and moving the body part, moving the cup while the body part is still, or keeping the cup still while the athlete moves their own body part. Click here for cost. Kinesio Tape application is a technique used to provide support and stability to joints and muscles without restricting range of motion. Typical uses for kinesio taping at RXSR is posture stability, tendinitis, ligament sprains, inflammation, or muscle strains. 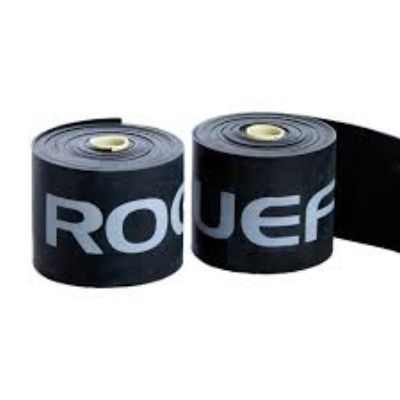 We also provide instruction on best taping techniques for you to apply yourself at home. Click here for cost. RXSR partners with Cactus Spine & Sport, P.C. and Kristen Valentin, PT DPT to provide Trigger Point Dry Needling services. Another option for your musculoskeletal injury. A myofascial trigger point consists of multiple contraction knots which are related to the production and maintenance of the pain cycle and general muscle function. TPDN is inserting the needle into the skin and muscle, directly at a myofascial trigger point. Training over time can result in tight muscles and "knots" that may cause pain, limit mobility, and result in poor postural alignment, which all have a negative effect on your training and performance. TPDN can decrease pain and increase mobility to aid in returning you to training and competing at your highest level. By appointment only. Click here for cost. This is the latest evidence-based practice in rehabilitative and performance settings. The idea is if you restrict the muscle blood flow, it performs anaerobically (without oxygen). Functioning anaerobically increases the use of Type II fibers and more secretion of human growth hormone. This is crucial for muscle rehabilitation because simple movements yield max gains. Blood flow restriction training is commonly used for muscle strains, tendinitis, and hypertrophy (growth/strength) of a weak muscle group. Discover recovery by methods of sports massage. Our therapists have experience with athletes of all levels. Massage sessions are conveniently offered onsite at RX Sports Recovery by Unlock | Bodyworks, a massage therapy group based in Denver. Contact RX Sports Recovery about scheduling onsite. By appointment only. Click here for cost. Flossing has replaced applying ice to an area for swelling. Don’t believe us? Try it for yourself. Ridding the body of swelling requires lymphatic stimulation and the best way to deliver that is compression with movement. These voodoo floss bands are great for common joints (ankle, knee) to increase range of motion, reduce swelling, and maximize strength. The definite MVP for common ankle sprains.